Like every wedding there are pre-wedding rituals that must be adhered to before the real business of joining two families starts, and this grand wedding was no different. In a more western tradition, this wedding started with a welcome dinner for guests that gave us a quick glimpse of the incredible festivities to come. It was then straight into the girls-only Mehendi ceremony. There was also a “secret men’s” event, but of course I wasn’t privy to it. Needless to say some of the men chose to crash the Mehendi instead, so it goes without saying that girls really do have more fun. 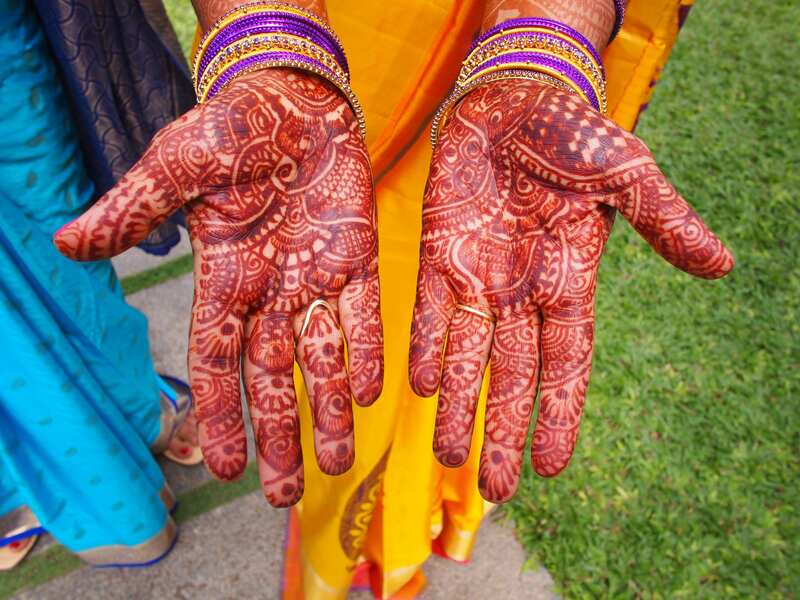 Mehendi refers to where henna is decoratively applied to the bride’s hands, arms and feet (traditionally the the groom also has a small amount applied to him as well). The event is meant to be fun, festive and light-hearted, and this was certainly no exception. It was really like a fun day at the spa with a bunch of girlfriends. There was champagne, women lounging on cushions being pampered as their hands and feet were delicately painted and lots of laughter in the air. The ceremony has several meanings. It shows the love between the couple, the darker the bride’s mehendi colour the deeper her love for her husband. Some believe that mehendi is applied for medicinal reasons, to help ease the stress of a wedding. Henna is believed to relax the body and reduce headache and fever. So by applying it before her wedding, it calms the bride and makes sure there are no headaches on her wedding night. All the female guests also joined in and had themselves painted in henna as well. The artists worked very quickly when creating the patterns, with the henna going on wet. It takes a while to dry, and it can be up to an hour or more before you can use your hands again after having henna applied. 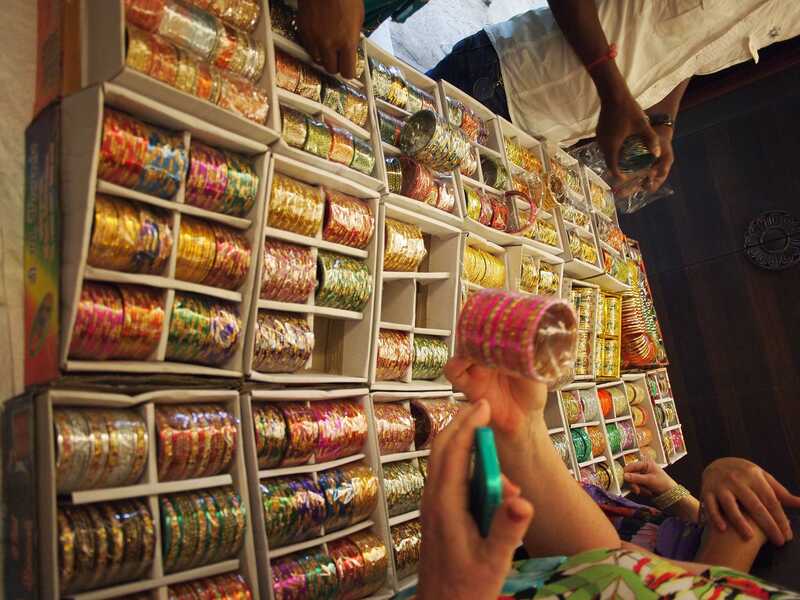 There was also a bangle store, because really, perfectly henna’d hands look incomplete without some bright bling. But my favourite touch was the fortune teller. This sweet man relied on his trusty bird to select my fortune. The bird came out of its brightly decorated box and diligently discarded card after card until it came across the one that felt right for me. The cards were similar to tarots, in that each had a different figure that they represented and a different meaning. I must have got the lucky one, because according to the fortune teller my future will be full of love, wealth and harmony. Lucky me! 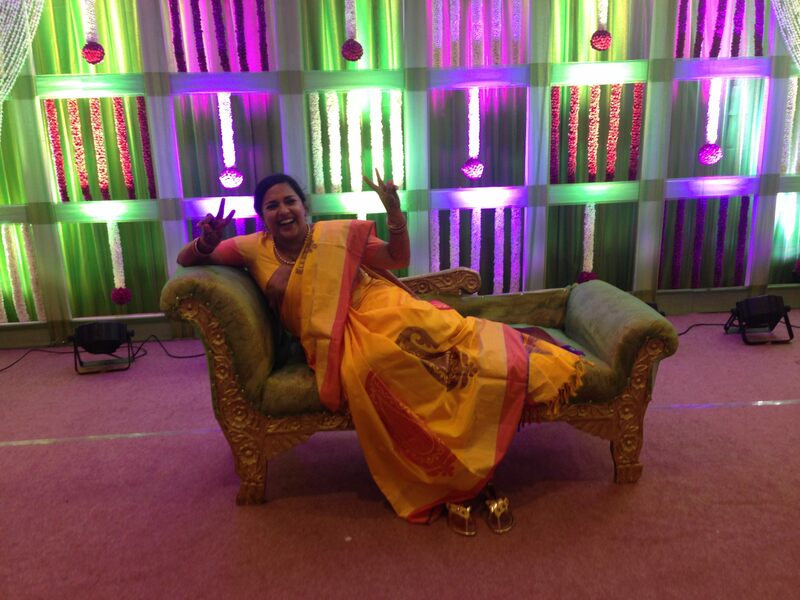 To get everyone warmed up for the wedding, we were then all treated to a lesson in Bollywood. 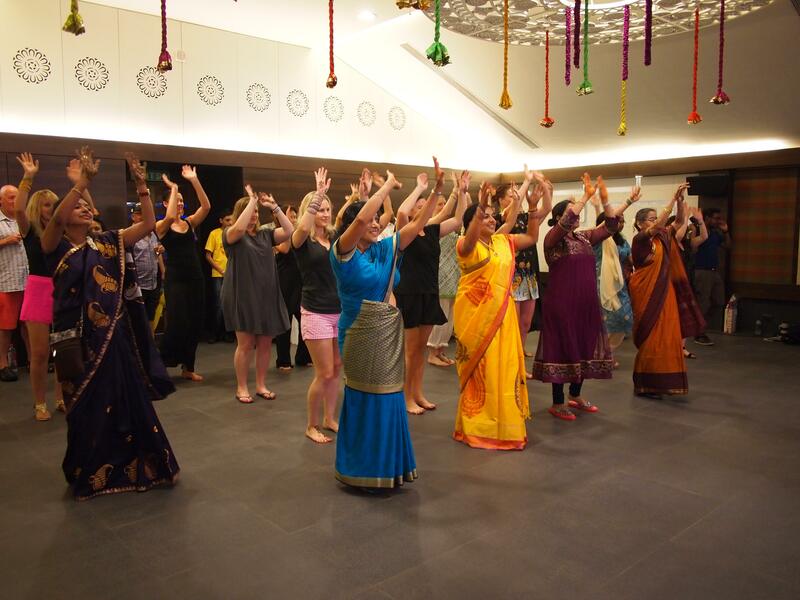 This proved to be a great idea, as the dance fundamentals that were learnt here were honed and mastered over the next few days at the Sangeet and Reception. I would have loved some videos – particularly of the bollywood class. It al sounds such fun. Thanks Duckie, I believe other people have videos. It was awesome fun.